HÀ NỘI — The cold spell in the northern region strengthened and brought down the temperature to below 8 degrees Celsius in mountainous areas on Wednesday. 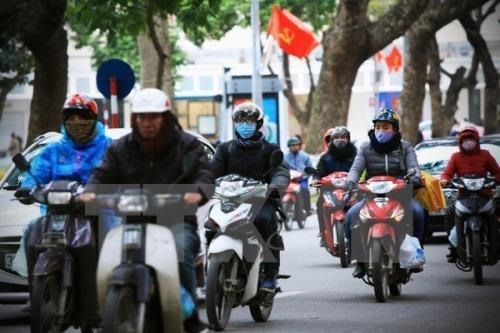 The temperature in Hà Nội is expected to drop to the lowest, between 14 and 17 degrees Celsius, particularly in the early morning and at night, according to the National Centre for Hydro-meteorological Forecast. The cold spell is predicted to bring rains to the northern provinces and medium to heavy rainfall to central coastal localities, particularly from Nghệ An to Phú Yên provinces. It will also make the sea rough and create high waves of 2-3m in the Tonkin Gulf and the northern part of the East Sea, according to the centre.